Jeep fans, get excited! 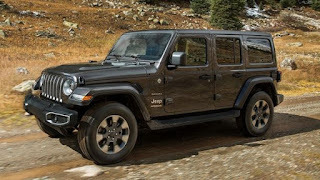 The all-new (yes, all-new) redesigned 2018 Jeep Wrangler is here! For the first time in 11 years, this crowd-favorite SUV has some substantial changes. No need to panic, however. The Wrangler still stands out. And it still has all of the qualities that make it a Jeep. So, what's new with this dynamic vehicle? For starters, this is the first Wrangler that's available as a hybrid, or eTorque, as it's labeled. This newly redesigned Jeep can, in fact, be equipped with a 2.0-liter turbocharged four-cylinder engine with electric motor assist. 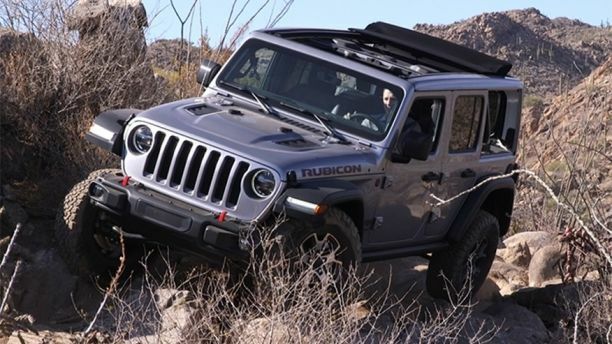 You might be thinking that such a change like a hybrid engine might hurt the Wrangler's off-road capability. However, the lightweight aluminum body panels and high-strength steel frame would like to argue otherwise. These materials bring the Wrangler's overall weight down a couple hundred pounds, which more than benefits the eTorque update. So, no need to worry about hitting the hills or taking on the rough terrain. The all-new 2018 Jeep Wrangler can handle it. In addition to the frame material getting an upgrade, you'll notice some changes to the body itself. The seven-slot grille has received the slightest of makeovers, incorporating the round headlights to mesh with them, creating a new twist on two classic features. Other than that, the grill itself has a more defined curve, and the low front bumper has wide, LED lights attached. Both features provide a more aerodynamic and modern look that is sure to please Jeep fans everywhere. 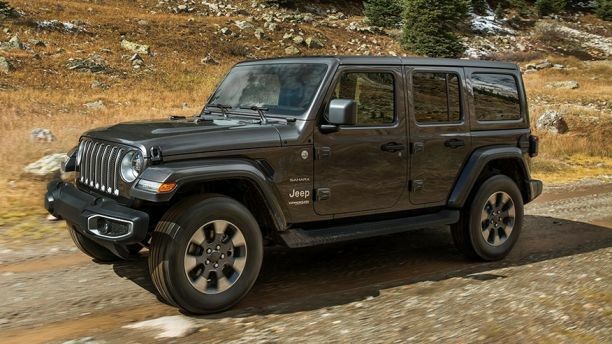 You'll still recognize it as a Wrangler, but you'll be pleased with its facelift. The rooftop options on the 2018 Wrangler are now easier than ever to convert with lighter panels and slip-in, spring-assisted fabrics. And, if you really wish to make things easier on yourself, there's even a power-sliding fabric top option. No more stopping to get out when you feel a raindrop or two. Whatever your preference may be, there is sure a lot to choose from on the 2018 Jeep Wrangler. Even the inside of all-new Wrangler has some exciting updates. From new, colored accents to stitched upholstery and real metal trim, sleek is the idea of this Jeep. So, when you feel like tearing up the off-road terrain, you can sit in your classy cabin while doing so. In terms of connection, you can enjoy interior features that control suspension, WiFi, and even a sound bar for maximum listening pleasure. When it comes to your experience, the all-new 2018 Jeep Wrangler provides you a pretty darn good one. The 2018 Jeep Wrangler is the perfect combination of "all-new" and "classic." Its new engine is sure to make an impact on hybrid fans everywhere, while its subtle yet striking updates are sure to please Jeep fans all around. Want to see it for yourself? Stop into Uftring Chrysler Dodge Jeep Ram in North Pekin today and take a look!